Located in the heart of Marmaris, Cle Resort Hotel's gorgeous rural set up is just 700m from the beach and within close proximity to the exciting city centre. If you like to make a splash, Cle Resort Hotel has both indoor and outdoor climate-controlled swimming pools, besides a thrill-seeking aquapark and a separate children's pool - making it a superb spot for fun-loving family holidays in Turkey. There are 143 comfortable rooms to choose from, made up of family, twin or suites. The hotel's all inclusive option means guests can dine buffet-style for breakfast, lunch and dinner at the main indoor restaurant, or choose a set a la carte menu, while the poolside snack bar offers tasty dishes in the afternoon. The complex also has a health club for guests who like to indulge in a little R&R, complete with a traditional Turkish bath, sauna, and swimming pool, or active guests can stay entertained at the fitness centre, play a round of table tennis or head to the hotel's games salon. Located 90km from Dalaman Airport, Cle Resort Hotel is easy to reach by car. 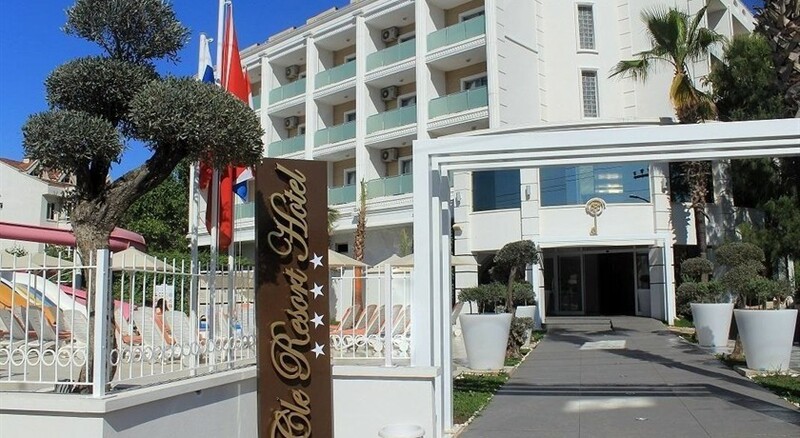 Set amid rural surroundings in Marmaris, Cle Resort Hotel is located just 700m from the sandy beach and within close proximity to the lively city centre, where you'll find a variety of shops, restaurants and bars. For active families, friends of couples wanting to make a splash, the Atlantis Waterpark is just 100m from the hotel, too. Dalaman Airport is located 90km from the resort. The hotel houses 143 rooms, with options for twin, family or suites. 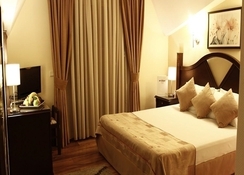 The rooms are equipped with facilities including air-conditioning, TV, bathtub, hairdryer and a balcony. Non-smoking rooms are available upon request, alongside baby cots. Some of the rooms come with pool, garden or land view and the Suites are equipped with Jacuzzis - so take your pick. 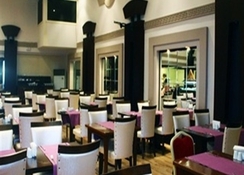 Cle Resort Hotel’s main restaurant serves Turkish and International cuisine in buffet style for breakfast, lunch and dinner, besides offering an a la carte menu. Hungry guests can also graze on tasty, Turkish snacks (pide) at the pool bar between 12:30 and 15:00, or at the lobby bar from 14:30 – 15:30 during the winter months. Sweet tooth's can grab desserts, pastries and other baked goods at the garden snack bar open from 17:00 – 18:00 in summer. Go for a swim in either of the hotel's indoor and outdoor swimming pools or take your kids for a dip in the separate children's pool. There is also a play area, besides an exhilarating waterpark with fun slides, sure to keep the little ones entertained. Active guests can explore the fitness centre or enjoy a game of table tennis, while those who prefer a little more down time can head to the sumptuous spa for its traditional Turkish bath and sauna. Partygoers will be pleased to know there is an underground disco, which is open all summer and part of the winter season, too. In the evenings, guests can look forward to live animation and entertainment shows, as well.